If you're looking for more storage space along with a convenient place to park your car, consider the use of prefabricated garages with attic space. These quick garage options can be installed in as little as one day, expanding the storage in your home with ease. If you're living in a home with plenty of land but no garage, you have a few choices as to how you can get some covered protection for your vehicles. Carports can help protect paint finishes from the sun, as well as some rain and snow, but leave your car mostly open to the elements. Attached garages can be a major undertaking, opening the side of your home up to the construction site while taking days or weeks to complete. Standalone garages are a nice choice; they can fully protect your car while keeping your home's footprint intact. They can be expensive to build however, and can take time. A prefabricated garage is a standalone garage option that is either fully or partially assembled off site. What is delivered to your home can either be put together and finished in a matter of hours, or within just a few days. The cost is a lot less than traditional construction, since you aren't paying for a work crew to do the job; most prefabricated garages and prefabricated garages with attic space can be put up by just two people. When you purchase a prefabricated garage, you actually have a choice of just how prefabricated you want it to be. Kits are available in various stages of finish; you can choose to do a great portion of the work yourself to save money, or you can choose to have the garage arrive nearly complete. 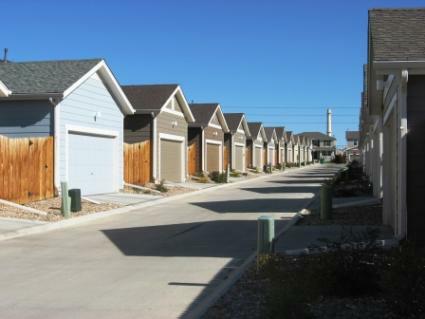 The types and styles of prefabricated garages are nearly endless. Styles include barns, simple one and two car garages and even complete buildings with heated and finished rooms upstairs. Most are also customizable, allowing you to choose window and door options, as well as color and overall look and feel. Before you decide on and purchase a prefabricated garage, you should note that a foundation is not included. You will need to make sure that the space to receive the garage is level and ready to receive the structure. This can be as simple as laying some patio stones or cinder blocks over the area where the garage will be placed, or as thorough as a concrete pad being poured. The garage will not be able to be installed until this foundation is set, so make sure you do your research and have this area leveled and ready before the garage is delivered. Adding prefabricated garages with attic space to the exterior of your home as a standalone addition or as the part of a major exterior renovation can vastly increase the value and functionality of your home. If you are thinking of adding a garage to your home, think about a prefabricated garage with additional attic space and get a lot more than just a place to park.